I was contemplating a Skyfall when the 300 MC caught my eye. I've owned some blue dialed watches but the Ti blue dial reminded me of the Bond blue of the SMPs. The SMP and 300 Ti blue was what I always thought of as "blah blue". It doesn't jump out like the Skyfall and electric blue. So I ended up going SS because it was truer to the original. Plus, I've owned Ti and much prefer SS. I have to echo what John is saying here. I really love blue, and thought for sure I'd go with the Ti solely for the blue dial/bezel, but when seeing it side by side with my current SS 300MC, the blue didn't pop at all. It's so dark it darn near appeared to be the same watch. Yes, side by side there was a slight noticeable difference, but not blue enough for me. The weight savings of the Ti was nice though. If it were me, and cash wasn't a factor, I'd go SS. And, I did. At the end of the day I played with all versions of the 300 except Platinum which wasn't on hand. Ultimately, I just don't like two tone. Also I felt the SS was truer to the product and aesthetic. Of course this is just my personal preference. Having had the SS for just over two weeks now - I love it. Looks great with a suit. In fact, I'm wearing it today with a suit and have already had 3 separate compliments on it. No need to spend the money for gold to go dressy/vintage. 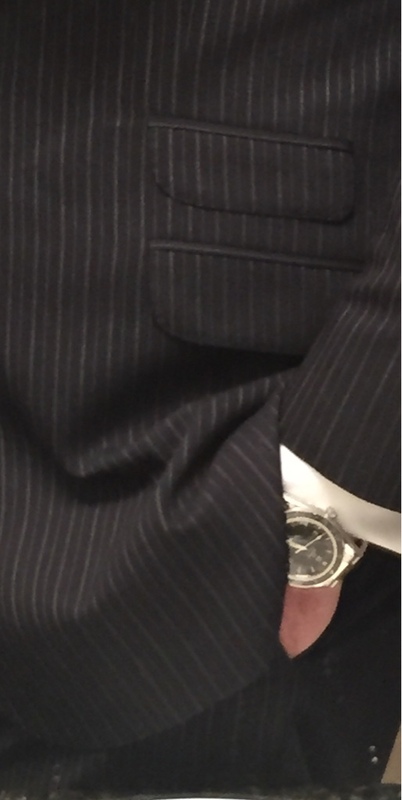 The SS is true to the original and can go as dressy as necessary; i.e., black tie and tails. 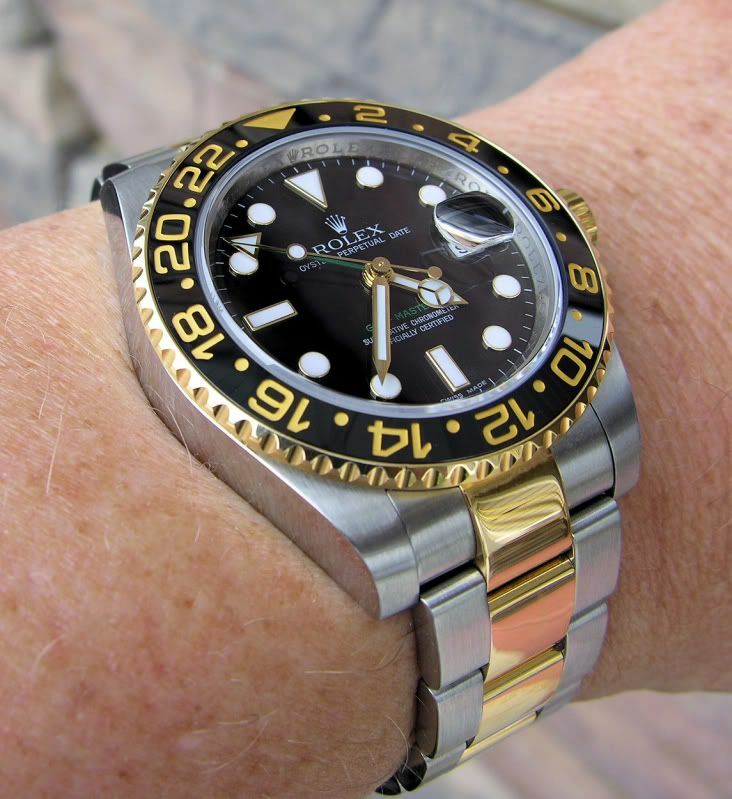 and was afraid to wear it for fear of dinging the soft gold bezel and scratching the PCLs. The SS is much more versatile and will pair up beautifully with the PO LM LE. You well may be old but getting two tone announces it for sure. I'm really not a fan of two tones. And have to say that I just generally don't like gold on watches. My budget for the 300mc wouldn't allow anything but the SS, but I have to say that I would have chosen that one anyway. If I were to give you the PC answer: "you only live once, pick the one that appeals to you more." The PC answer is, off course, the least useful answer so I'll try to sway your decision. I say go for the steel/sedna gold version. It's something different and not very popular unlike the regular stainless steel model. Have you also considered the titanium and gold model? The more I’ve spent time with my 300M, the more I’ve come to appreciate it (PCL and all) and a few thoughts come to mind. If you realize this is a dressy diver, the PCL are not bad whatsoever. I once had a “No PCL policy” when buying watches… even passing on this one a few times due to the PCL’s. I think I wanted too much from a watch back then… I wanted a “do it all” bracelet diver – and now I realize there isn’t such a horse. I tried this on at the local Boutique and asked them to take off all the protective plastic that was covering the bracelet. They did. While my wife chatted it up with the SA, I spent a good 3-4 minutes with the watch on my wrist, looking at it in the mirror… and you know what, PCL aren’t all that bad. It shocked me how they are not all that “blingy” from 3-4 feet away. You almost hardly notice the PCL from 3-4 feet away. Anyway, more on the “do it all watch”, and learning to not expect that from this 300M. 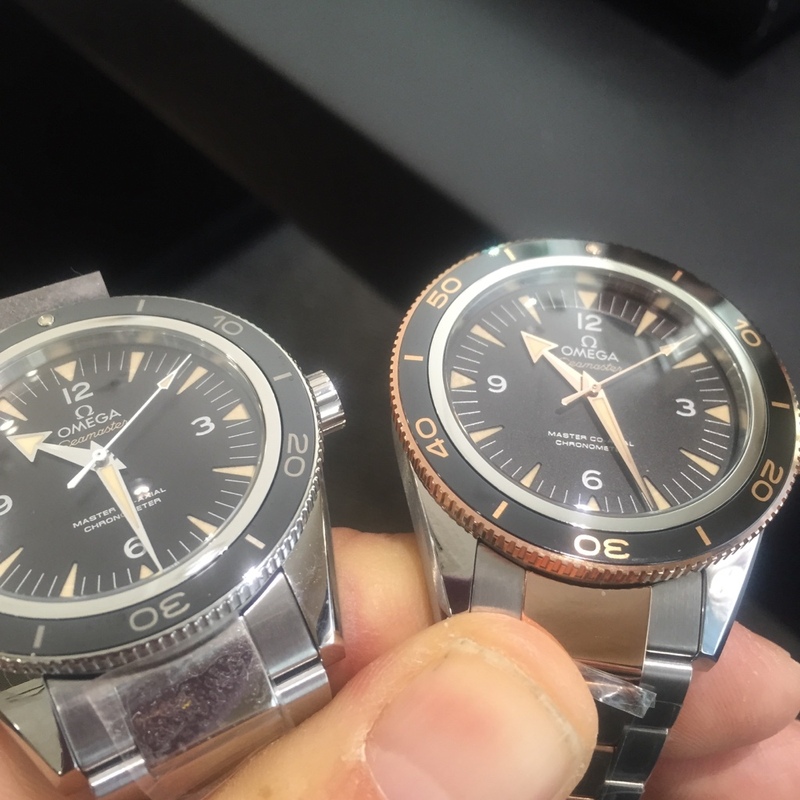 I own quite a few Omega’s. A Skyfall Blue Aqua Terra (non-master brushed bracelet), a PO8500, a Speedy Moonwatch, and the Speedy FOIS… and of course this 300M. If I want to wear a t-shirt and jeans, causal look – I’ll grab for my Moonwatch or Planet Ocean without hesitation. A little more dressy attire and I’ll go for my Skyfall AT8500. But if I want to wear something more dressy like a white dress shirt and blazer, this 300M is my choice unless I’m going with a leather band watch like my IWC Portofino. And with more dressy attire (white button down shirt, etc… the PCL actually compliment the look moreso than an all brushed bracelet which can come off as more tool-watch like. So once I understood and embraced that, I enjoy the PCL with my more dressy clothes. Casual gets other watches wrist time. See below photo borrowed from the internet, 300M with a white button down dress shirt = perfection IMO. Not to say you can’t wear it with other things… but with a 7 watch collection, I tend to not force what doesn’t look right IMO and wear what I feel works best. Its nice to have options. Also, a few words on why I don't think an all brushed bracelet works on this watch. Due to all of the polish on this watch - the case, lugs, bezel sides, in addition to the hi-gloss bezel top.... to me, the all brushed bracelet has a major 'disconnect' with the rest of the watch. However the PCL ties it all together IMO. And this is coming from someone who 2 months ago wouldn't consider buying a watch with PCL!! I'm glad I saw the light! Last edited by mdgrwl; June 16th, 2015 at 19:46.
julywest, jmsrolls, Horoticus and 6 others like this. No offense to those that keep the 300 MC with the polished center links, I like the 300 MC better with brushed center links. I'm not against PCL, (I have another watch that has them). but to my eyes this "diver" looks better toned down with the all brushed look. 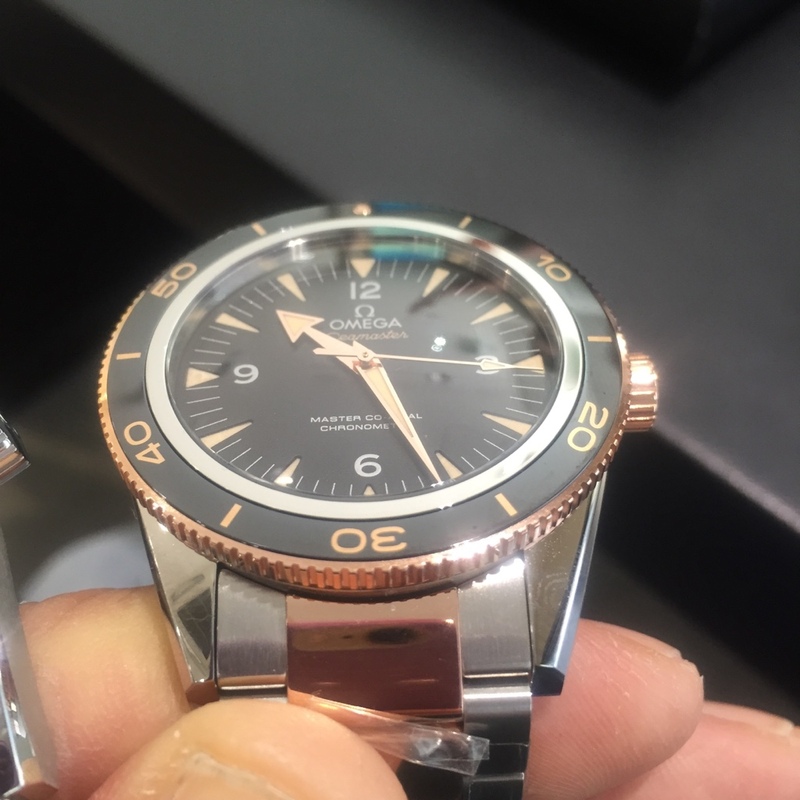 That's why there are divers like the Planet Ocean which is more "toned down" and casual. If you want a more toned down look... go for that. But the "dressy diver" deff has a place in my rotation! I usually wear my AT 8500 MC with a. Suit but lately have been going for the 300 and loving it. Horoticus, julywest and snakeinthegear like this.